Back when I was a teenager, I used to buy ’45 singles of songs I really liked. If you don’t know what a ’45 single is, go ask your parents. They probably have a shoebox full of them getting musty up in the attic. Forty five singles, and later cassette singles, were to my generation and the generation before what iTunes is to everyone now. Only it kind of sucked since you had to leave the house to buy your music and were only able to purchase whatever songs the record labels saw fit to release. Sometimes, if the song you liked wasn’t even deemed worthy to be slapped on a B-side (again, ask your parents), you were forced to buy an entire album for just that one song. And if you really just wanted that one song, you were forced, in the case of cassette tapes, to listen through all the crap before you got to the track you really wanted to hear. That or you were stuck with your finger on the fast forward or rewind buttons. We had the primitive misfortune of not being able to skip tracks. That is why I love digital music and have become a firm believer in the a’la carte system of music consumption. I hear a song on a TV show, commercial or in a movie and am almost guaranteed to be able to find it on iTunes. Television and movies are how I find most of my music, which explains why my library looks like it was compiled buy ten different people. It’s very rare for me nowadays to buy an entire album from one single artist. Still, I do have a few favorites, and one of the last full, physical, hold-it-in-your-hands albums I purchased before the whole digital music revolution was Norah Jones’ Come Away With Me. I bought it after hearing just one song on the radio, Don’t Know Why, and listened to the entire thing over and over again. I loved every song and that album became the soundtrack for 2003, the year I lost a ton of weight. Which also, unfortunately, turned out to be the year before I gained it all back. I’ve stayed pretty loyal to Norah Jones over the years and purchased her subsequent solo albums Feels Like Home and Not Too Late. I didn’t much care for her 2009 release The Fall. It was too different, too far removed from her previous three albums for me to want to purchase in full. I sampled the tracks and bought only a few that resembled the Norah Jones I fell in love with all those years ago. This year Jones is back with another album and I’m happy to say it has everything I loved about her first three albums and more. …Featuring is a collection of collaborative tracks from Jones and artists ranging from The Foo Fighters to Dolly Parton and spans the length of Jones’ music career thus far. For a music schizo like myself, this is actually kind of a cool album since it encompasses so many different genres; bluegrass, soul, blues, country, hip-hop, rap and easy listening. There’s even a holiday tune to enjoy this coming season, if you can get past the uncomfortable visual of Jones and Willie Nelson getting snuggly by a fire, that is. There are a good mix of vocals here. In some tracks Jones is the lead vocalist while in others she’s in the background. I found my favorites to be the duets, mainly “Here We Go Again” with Ray Charles and “Creepin’ In” with Dolly Parton, a track that was also included in Feels Like Home. 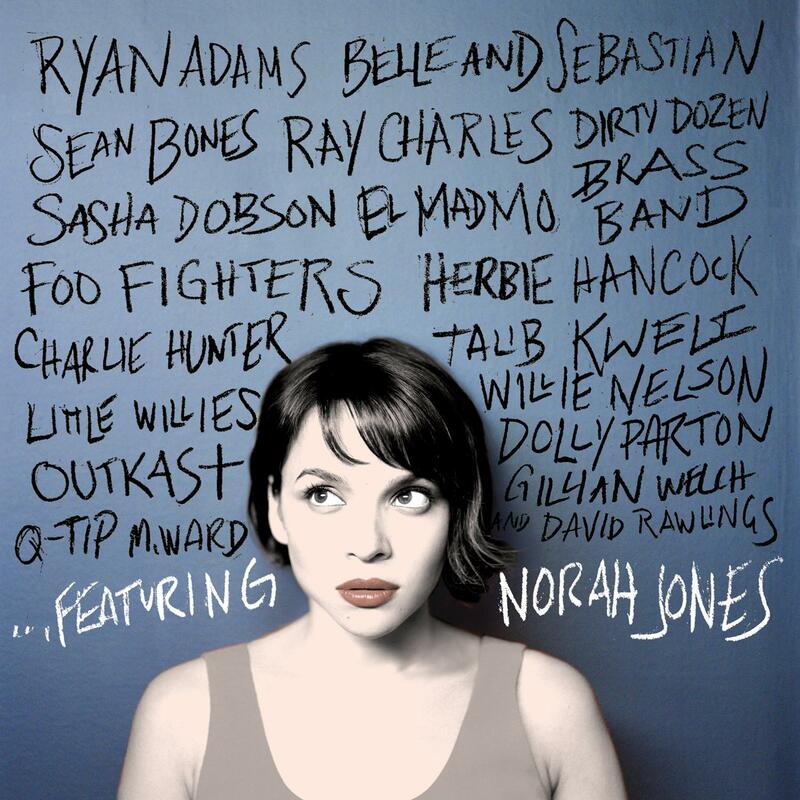 My least favorite tracks were the ones I thought to be very anti-Jones, but I guess if Dido can feature in an Eminem song then Norah Jones can back up Talib Kweli. Another favorite is “Loretta” featuring Gillian Welch and David Rawlings. If you don’t know who Gillian Welch is, don’t ask your parents unless they’re fans of the Joel & Ethan Cohen movie O, Brother, Where Art Thou? Welch was the music producer for the movie and the singing voice behind one of the three sultry sirens who Delmar mistakenly believed had turned one of his companions into a toad. Seriously, that movie is awesome. If you’re a Norah Jones fan, I don’t think this album will disappoint. It’s traditional Jones with a few unexpected bits thrown in. The album is in stores now or on iTunes for you to dissect as you please. This review is part of a promotion with the One 2 One Network. Apart from a complimentary copy of the CD to review, I was not compensated, though publication of this review does enter me in a drawing for a gift card. The opinions expressed are my own.